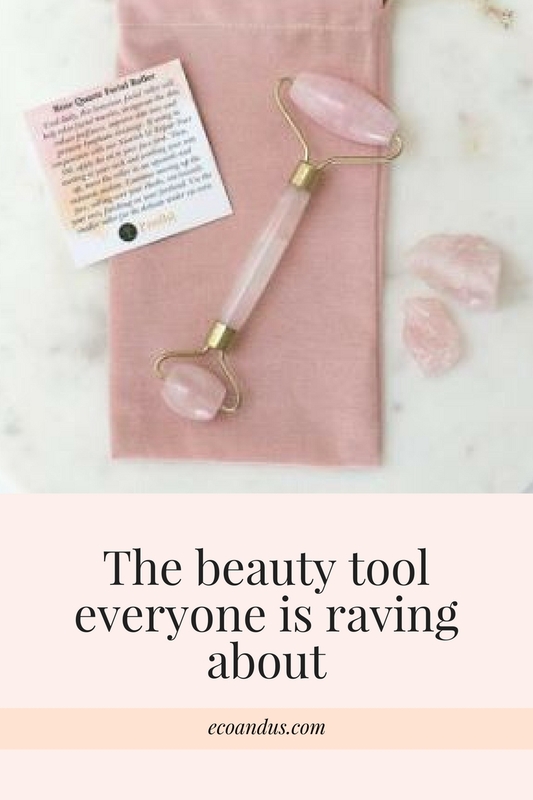 Well truth be told these hippies (myself included) are onto a good thing, as the healing properties of rose quartz dates back to the Ancient Egyptians era and are a beauty tool of Chinese Medicine. To find out what a rose quartz facial roller is, its benefits, where you can get your hands on one keep reading. Rose Quartz is the healing stone of unconditional love. It’s said to help ease tension and stress in the body, important factors when it comes to having smooth skin. What are the benefits of using a Rose Quartz Facial Roller? How do you use a Rose Quartz Facial Roller? Continue moving up your face, rolling over the cheeks, moving towards your ears, finish on your forehead. Get in quick as there is limited stock and at a reduced price just in time for Mothers Day I am sure they won’t hang about for long. 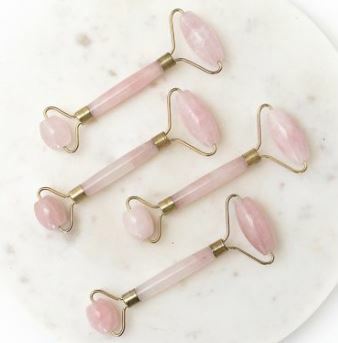 So there you have it, you now know what a Rose Quartz Facial Roller is. The benefits, where to purchase and my other favourite natural anti ageing skincare product. These are just two of Renee’s beautiful natural product range, I highly recommend all of them. If you want to find out more about what goes on behind the scenes of Paudha Healing, check out Renee’s recent interview. If you love natural skincare products then you may like a FREE copy of our healthy home guide which lists all the skincare and beauty products to swap to natural alternatives.